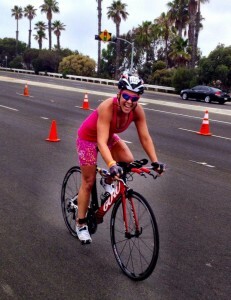 Rachel has been training hard in and out of the gym, and just completed her first triathlon, the San Diego International Tri! With a 1,000 meter swim, a ‘hilly’ 30k bike ride, and a 10k run, this is an amazing achievement. Nice work Rachel, and thanks for being an inspiration to the whole Function First team! 1. When, and why did you first start training with Function First? My first workout with Function First was almost 3 years ago, WOW! It was a beach workout on a Saturday morning in August of 2011. I had been labeled by some as the “cardio queen” and was doing quite a bit of running, but wasn’t seeing any progress in my performance and/or physique. The Function First workout started as a way for me to shake it up a bit and do something different. 2. What challenges did you face with reaching your goal of completing a triathlon when you first joined Function First? 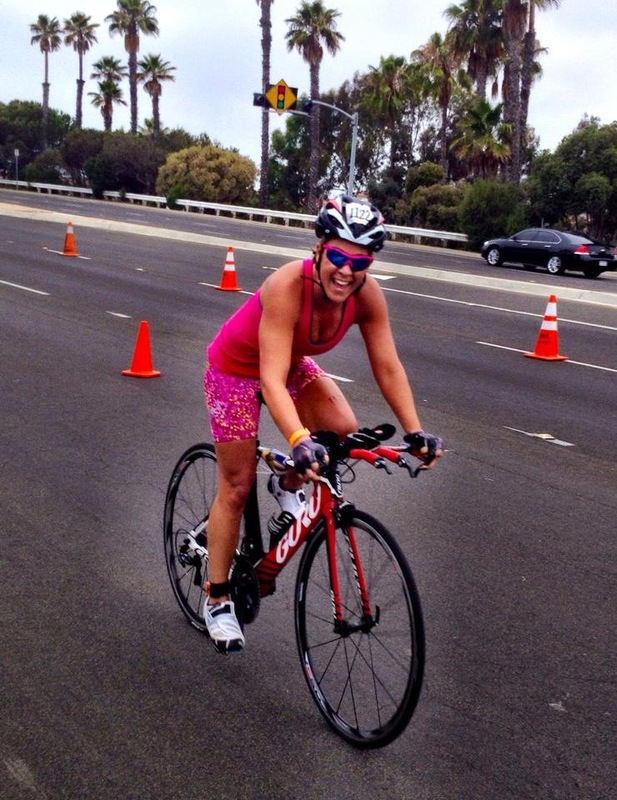 I didn’t have a goal of completing a triathlon when I joined Function First, but my results from Function First inspired me to do a triathlon. Over the last year and a half, through the quality and diversity of the workouts and the trainers’ expertise, I have gained significant strength and have seen marked improvements in my running times. The physical changes combined with the increased speed achieved goals that I had established for myself, so I decided I needed to set a new goal that would stretch and inspire me, while still maintaining and increasing both strength and endurance. Because of some of the successes of other fantastic iron chicks who have done tris (Sandy and Em) and the biking inspiration (the other Em), I jumped into signing up for a half ironman with both feet. The biggest challenge was I didn’t have a bike and I need to coordinate swim, bike, run, workouts around making sure I make it to the Function First workouts!! 3. Can you tell us why you think the Function First Approach worked for you in reaching your goals? 4. What do you like best about the training program at Function First? What don’t I like about it!? Honestly, the community is what I like best. The X-Factor crew is amazing, I have developed great friendships through Function First. the X-Factor crew really inspires each other to be 1% better. And, I love the diversity and creativity of the workouts that make me want to be there and makes me sad when I can’t be there! 5. How has Function First and X-Factor changed your day to day life? Haha, I plan my schedule around Function First workouts. What I have been able to accomplish through training over the last 2 years or so has given me tremendous body confidence and a continued desire to challenge and improve myself, not only physically, but in all aspects of my life. This entry was posted on Tuesday, July 22nd, 2014 at 5:55 pm and is filed under General public. You can follow any responses to this entry through the RSS 2.0 feed. You can leave a response, or trackback from your own site.